Mrs. Margaret Toyo Hawk, 96, wife of the late Russell Joseph Hawk and a resident of Onancock, VA, passed away Tuesday, April 9, 2019 at Riverside Shore Memorial Hospital. 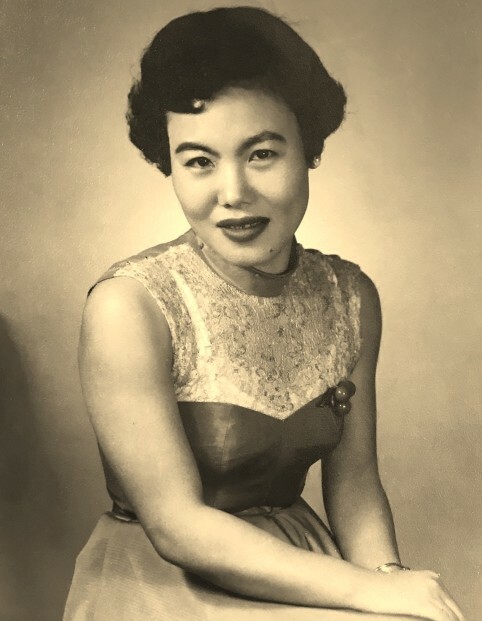 A native of Japan’s Ryukyu Islands, she was born and raised in Ishigaki, Okinawa on July 25, 1922 to the late Yamato Maeukemori and Tamani Urasoko Maeukemori..
As fate would have it, Margaret met Russell while he was stationed in Japan during World War II, and it was love at first sight. Soon after, they were married and began traveling the globe throughout Russell’s U.S. Navy career. Following his retirement in the early 70’s, the Hawk family relocated to the Eastern Shore. With her kind soul and beautiful heart, Margaret was adored by all who had the pleasure of knowing her. For several years, she worked as a clerk for Roses and was well loved by her customers. She enjoyed working in her yard and a good game of BINGO, but nothing ever compared to spending time with her family. As the matriarch of the Hawk family Margaret’s presence will be greatly missed, however her memory forever remembered and celebrated. Survivors include her three children, Isako Kanno and husband Susumu of Charlotte, NC, Peter Hawk of Onancock, and Mark Hawk Virginia Beach, VA; eight grandchildren, Billy, Hiroshi, Aimee, Mark, Angie, Amber, Noah, and Corey; and five great-grandchildren, Adrianna, Zayden, Scarlett, Storm, and Lilliana; all of whom she very much cherished. Funeral services will be conducted from the chapel of the Williams-Onancock Funeral Home on Sunday, April 14, 2019 at 2:00 p.m., with The Reverend Robert Fletcher officiating. Interment will follow in the Fairview Lawn Cemetery. There will be a visitation at the funeral home one hour prior to the service.